Getting vehicle wraps, custom-made fleet wraps were once considered as the tedious and tiresome task, but slowly it has changed. The increasing popularity of the internet across the world has made this wearisome task a much fun and easy-to-find work for many in search of it. And then Adpro Design Inc comes to the vehicle advertising wraps market & the whole scenario have changed drastically since then. Getting custom vehicle wraps and eye-catching vehicle wraps graphics at competitive pricing has got a new face in the market – Adpro Design Inc.
Adpro Design Inc opened its doors in 1989 because they saw an open market in Danvers Massachusetts for quality van wraps, fleet wraps, vehicle wraps graphics and vehicle advertising wraps. With 30 years of combined experience in the sign business and the newest equipment on the market, you can rest assured that you will receive the quality you have been searching for. We have some in-house award-winning graphic designers, who have the most knowledge and experience in Danvers Massachusetts when it comes to design, printing and installing your custom vehicle wraps. You can search for the company providing custom vehicle wraps in Danvers MA and see their highflying van wraps prices, but when you pay a visit us, you’ll know how much affordable we are. 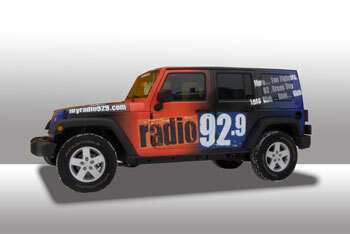 The vehicle wraps cost we provide is unbeatable and can nobody else provide as low as we provide. We seek for high satisfaction in this business and not in making big bucks. Call us today to learn more about our products & services. We’ll also guide you on how to make custom vehicle wraps so that you can let your imagination flow in creating eye-popping designs. We take pride in serving more than thousands of customers demanding unique and notable vehicle advertising wraps in Danvers MA. We are trusted, acknowledged, and affordable fleet wraps Design Company located in Danvers Massachusetts. Visit us online to explore our portfolio full of many van wraps and self-discover how creative we are in this business.